Intrepid staff and travelers are a very passionate lot; unafraid to speak up about ethical and social justice issues they may be confronted with during their travels. Human rights issues, poverty, environmental concerns ... there are many, but one of the areas that Intrepid folk are most vocal about is animal welfare. From witnessing animals in distress, to captive animals in poor conditions or working animals, particularly if it's connected to tourism, Intrepid staff and travelers don't hold back on speaking up for the voiceless. As a responsible travel focused business, operating around the globe, we've set policies around not participating in activities that exploit animals, wild or domesticated. But over the years we have witnessed a significant growth in animal venue "attractions" opening up, particularly in Asia and Southern Africa, where they are often marketed as having a strong conservation agenda. It does get you wondering as to how many orphaned lion cubs or elephants there really are that need "rescuing," about the value of captive breeding programs if there's no hope of reintroduction to the wild, and the appropriateness of allowing tourists at very close range to wild animals - to cuddle a lion cub, or pose with a clearly drugged adult tiger! The issues are complex, which is why Intrepid has been very pleased to partner for many years with the World Society for the Protection of Animals (WSPA), and be able to tap into their expertise on what's right in animal welfare. Elephant issues have been a strong area of concern. Having such an enormous wild animal restrained for many hours at a time and used for rides or to do human-like behaviors, such as kick a soccer ball or paint pictures with their trunks, has never felt right. So in 2010 to 2011, we lent support to extensive research by WSPA into captive elephant venues and learnt much along the way. People often think that an elephant in captivity is domesticated, and so somehow it's OK to have them under human command. But the reality is that they never have been domesticated like dogs or horses. Even if born in captivity, they are still a wild animal, and need to be 'broken' to accept human control. There is much evidence that this process is exceptionally cruel. 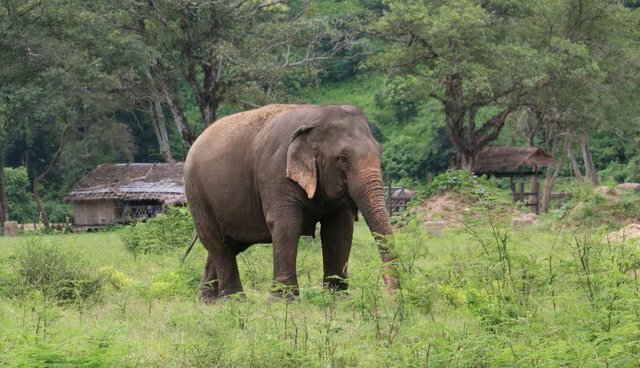 Yes, there are a considerable number of elephants that have been rescued from working in industries like logging and their carers need to earn a living to feed and care for them. But we've also learnt that the numbers of elephants being poached from the wild has increased to fuel the tourism demand for rides and entertainment. Some venues seem to be trying to outdo each other with novelty offerings that clearly give little regard to the elephants' welfare. An elephant falling off a tight rope would be catastrophic for the elephant. So at Intrepid we took a stance over two years ago and began to phase out venues of concern and elephant rides. From January this year, we no longer offer elephant rides on any of our trips. Instead we are going to a limited number of places where elephant welfare is clearly highly prioritized and the elephants are free to move without restraint for much of the day. We've put a big emphasis on education and communicating our rationale. The feedback from travelers has been overwhelmingly positive. Intrepid travelers very much appreciate being better informed and knowing that their travel choice is not causing harm to these extraordinary animals. And we hope that the increased patronage to commendable venues will help encourage others to lift their standards. Another animal welfare concern made more widely known in recent times by films like "The Cove" and "Blackfish" is the keeping of marine mammals like whales and dolphins to entertain tourists. Intrepid has always felt this is just wrong, and don't include visitation to these type of marine parks on Intrepid trips. Intrepid turned 25 last year. I'm proud that over the years, we have been able to contribute to various sound wildlife conservation projects around the globe and take leadership on wildlife welfare issues. In these times of an increasing loss of habitat for wildlife, climate change and other human generated pressures on the planet, it's important that we in the tourism industry who benefit from wildlife tourism, continue to grow our knowledge and actively participate in the best ways to protect wildlife. My hope is that in another 25 years time, we'll be able to travel and experience abundant wildlife in the wild, living as nature intended. Here's Intrepid's information on elephant welfare and your travels. You can support WSPA and a range of other excellent animal welfare and conservation programs through The Intrepid Foundation. Intrepid Travel will match your donation dollar for dollar, up to AU $400,000 (approx. USD $327,000) in each financial year and a maximum of AU $5,000 (approx. USD $4,100) per donor in each financial year. Post originally appeared on the Intrepid Travel blog in May 2014.